Hello Stand Windston School . 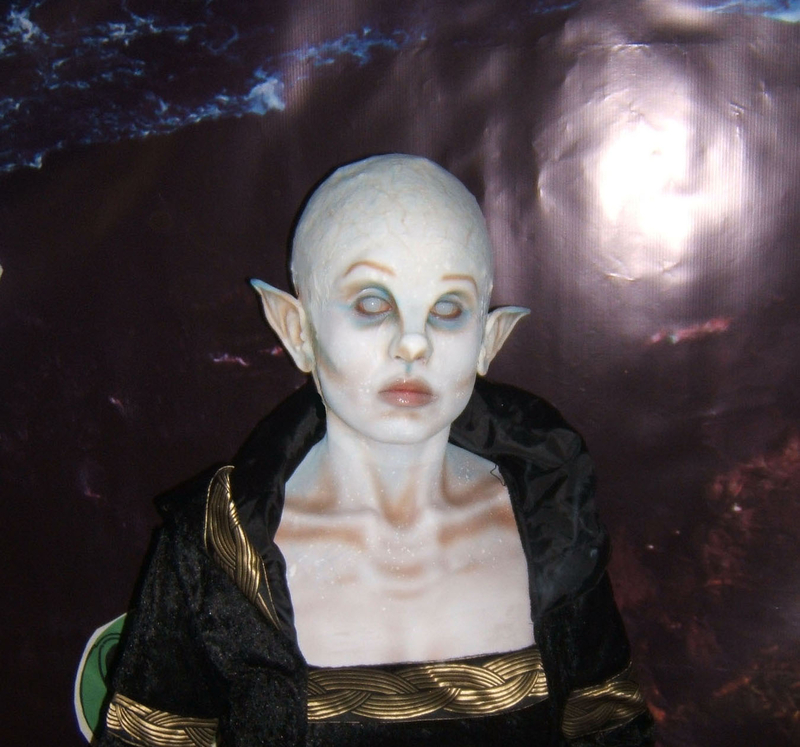 Characterization of an alien, application of bald cap, ears and nose prosthetics,the modeling and molds made by me. 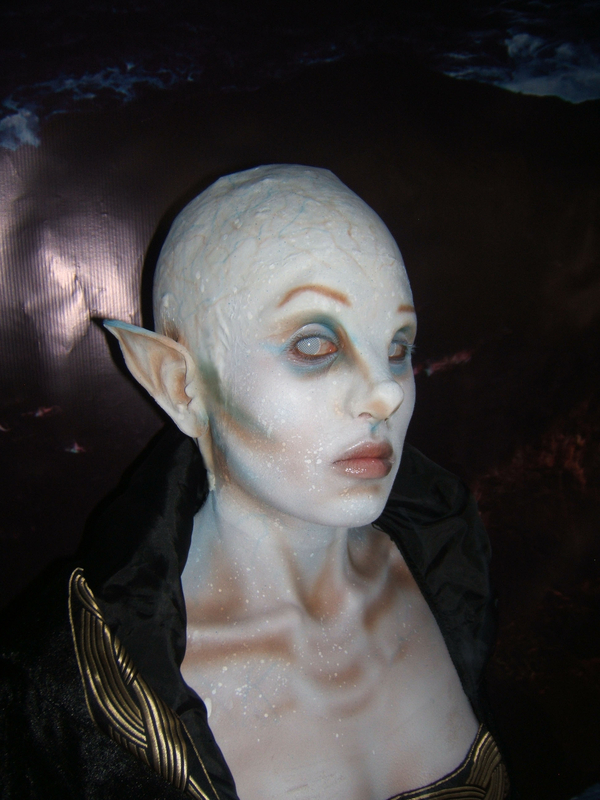 Applied makeup with airbrush. She wore an old princess gown.